By far one of the most impressive laptops we have tested in quite a while, the Dell Inspiron 14R Special Edition is pretty much done with its stay with us for the time being. It will soon go back, and before it does, let us give you a comparison of how it stacks up on the benchmark scores. We had already talked about the real world performance recently, but today we will talk about the synthetic benchmark tests, that allow us to compare the performance with other laptops on a score sheet. First off, let us talk about the raw system performance of the Dell Inspiron 14R Special Edition. We’ve multiple benchmarks to put figures to the overall performance. Without a shadow of a doubt, the Ivy Bridge Core i7 performs very well on the benchmark comparison sheet, and not entirely surprisingly so. The 6GB of RAM helps it shuffle along quite quickly. For comparison, we have the 14R SE up against the Toshiba Satellite L850, which is also powered by an Core i7 processor on the Ivy Bridge platform, but has 8GB of RAM to help it along. 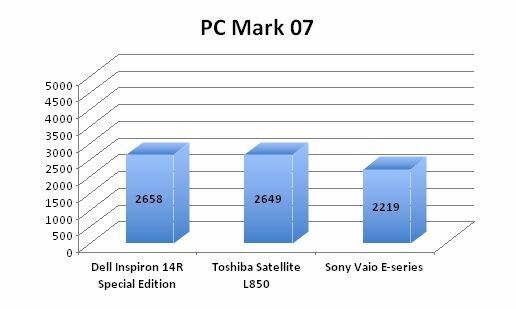 Also, we have a Sony Vaio E-series laptop in the mix, with an Intel Core i5 on the Sandy Bridge platform – just to give you an idea of the performance difference. From these scores, you can easily see that the two Ivy Bridge machines are neck and neck. 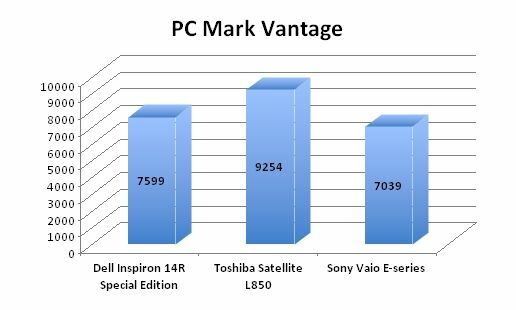 The Toshiba has an advantage in one benchmark, but the Inspiron 14R SE gets its own back in the next one. 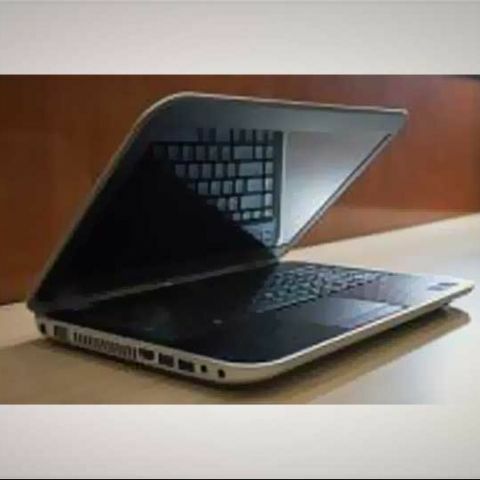 Concisely, the performance is indeed pointing to a very powerful laptop, which will not be bogged down with whatever you may throw at it, in terms of heavy apps or even multitasking on it to the fullest. We will talk more about benchmarks and comparisons in the detailed review that will be available on this website very soon. With the dual team of the Intel HD 4000 and the Nvidia GeForce GT640M (1GB), gaming is certainly a comfortable territory for the Inspiron 14R Special Edition. The 3D Mark score of 12635 is by far the highest among all Ivy Bridge laptops that we have tested. Even on the more taxing 3D Mark 11, the scores of 3132 (Entry Mode), 1915 (Performance mode) and 592 (Extreme mode) are still the highest on our score comparison sheet. Unigine verifies that with an FPS score of 30.1, indicating that you will be able to do quite a bit of gaming on this laptop. In fact, we had mentioned a couple of games when we were talking about the real world performance, and can say it for a certainty. In our very stressful battery test (examples of the setup - High Performance mode with display at full brightness all the time), we clocked this laptop doing 110 minutes from full charge to full discharge. That is almost two hours, and in a typical real world usage scenario, this one should be good for a bit more than 3 hours. Quite good, considering the amount of power that is available whenever you want it, and the specs indicate this can be a very competent notebook and a desktop replacement, all at the same time.